We’re already about a week into October, so I had better put together the monthly news and links post! Let’s start with a quick overview of what has recently been released, and what we have to look forward to this month. The Rising of the Shield Hero (vol 1), Kagerou Daze (vol 2), Pandora Hearts: Caucus Race (vol 2), Strike the Blood (vol 1), Kingdom Hearts: Chain of Memories, and Attack on Titan: The Harsh Mistress of the City (vol 2) all released in September! There will be three light novels for October: First there’s the second volume of Rising of the Shield Hero, which officially releases on October 20th, but has appeared to have already shipped for many people. Then on October 27th, look forward to the third volume of No Game No Life, and the third volume of Sword Art Online: Progressive (making that series caught up with Japan). I wasn’t able to get to the reviews I wanted to post last month, but I’ll see if I can try to get to those soon. In the meantime, I hope everyone enjoyed the interview with NanoDesu! I thought that was fun to put together. Kadokawa (a Japanese publisher) will be relaunching an English website and app called BookWalker, which will provide a store full of ebooks and digital manga translated in English and magazines in Japanese. On October 8th, BookWalker will release over 700 new titles, including light novels such as Durarara!! and No Game No Life. Recent cover announcements: Log Horizon volume 3, Accel World volume 5, The Devil is a Part-Timer! volume 3, Is it Wrong to Try to Pick Up Girls in a Dungeon? volume 4, Durarara!! volume 2, and Black Bullet volume 2. Are you keeping up with all your favorite series? Don’t forget, Dengeki Bunko Fighting Climax will release in the West on the PS Vita and Playstation 3 on October 6th! 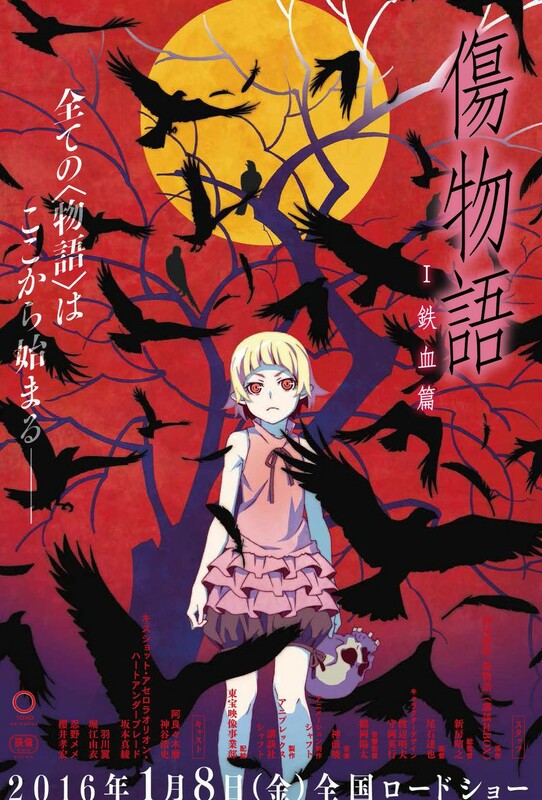 Here are three recent announcements for anime adaptations of light novels (each of which have or will soon be getting English releases): Kizumonogatari will be getting three films, Sword Art Online will be getting a film, and Accel World will be getting a new TV series. On the flip side, A Certain Magical Index will not be getting a third anime season yet. The Dengeki Bunko autumn festival was held recently, and here are a bunch of pictures taken of the various exhibits, largely focused on their popular light novel series. Something fun from Twitter: so-bin, the illustrator for the Overlord light novels, has posted a lot of illustrations recently, including fanart for a variety of different franchises. A review by Melodicity for volume 1 of Dantalian no Shoka. From Neko Baka Books, a review of Haruhi Suzumiya‘s first volume. A review from Forgeries for the 2nd volume of Log Horizon. The 15th volume of Spice and Wolf gets reviewed at AniTay. And also from AniTay, a review of volume 2 for Kagerou Daze. A list for September’s top-selling light novels in Japan, courtesy of kuuderes_shadow. A translation of a live event talk regarding the anime adaptation of Humanity Has Declined. Something I find interesting: LN-style covers for Japan’s releases of The Maze Runner. And that’s all I have for now! Please feel free to post links to more light novel-related articles, and to share your thoughts on this feature or anything else for the site. You missed the announcement of a Tenkyuu no Alderamin anime adaptation. Incidentally, as the thing that I was intending to start from October fell apart, and posting the POS rankings has generated more interest than I was expecting, I’ll probably continue posting them every month for the foreseeable future, though not necessarily always on the day they come out like I did this time. There are a lot of anime and manga adaptations being announced lately! I suppose that’s just the norm these days though. Thanks for posting the rankings! I always find it interesting to see what titles people are enjoying in Japan. Omg!! Those “The Maze Runner” covers though!!!!!! They’re neat, right? I like picking out all the YA novels I’m familiar with from the West, and finding the manga-style covers on them in Japan. Yeah I also plan to wait for the game to go on sale first, I can’t afford otherwise, lol. Though luckily, the Vita version is much cheaper at full price. Ahh, Corpse Party, I never got into the series. Need to dust off my PSP too… hope it still works, lol. The Bookwalker news sounds exciting. Wonder if they are going to be translating any of Kadokawa’s catalog, or just putting up titles already available from Yen On and maybe Viz/Haikasoru. Just discovered they are the only place to get the Baka and Test manga, hoping they can get that LN too. I am very curious about Book Walker as well! At the very least it will be another way for people to pick up ebooks in some easy manner. But I think there’s a good chance there will be new exclusive LN releases to come? In fact, I think I’ve already found one: Dance in the Vampire Bund: Secret Chronicles. It says Oct 8th, 2015 for its release, so I think it is indeed something new. I’m personally hoping they will have the Tokyo Ravens LNs translated, seeing how they’ve got the manga adaptation already (and exclusive to their store, apparently). There are plenty of other titles that they could certainly look into releasing though, so there’s a lot of possibilities at the moment. Oh and really enjoying the PH novels! I feel the pain in those words. You’re not alone there; I know Index fans have been waiting a while now for a third season. I imagine it will happen though; just a matter of when.